Parking is allowed in the oversize vehicle lot located just north of the Skyway garage. Overnight RV Parking is OK. 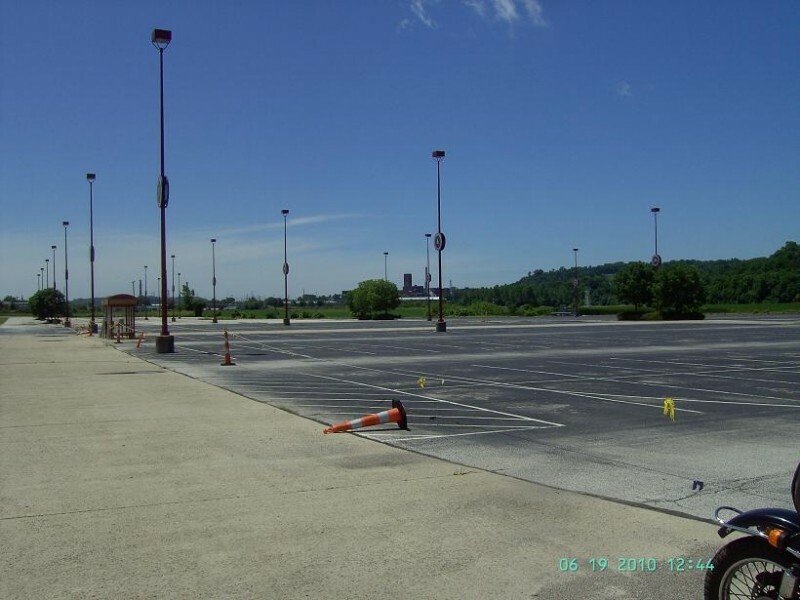 Parking is allowed in the oversize vehicle lot located just north of the Skyway garage. I'm a local and have played at this casino but have not stayed here in my travel trailer. That said, I wanted to post some updated information. The oversized parking lot to the north, located between the McDonalds and Burger King has been closed and barricaded off. I posted some updated photos of the entrances to that lot. I did confirm with security that RV parking is allowed in the oversize vehicle lot located just north of the Skyway garage. 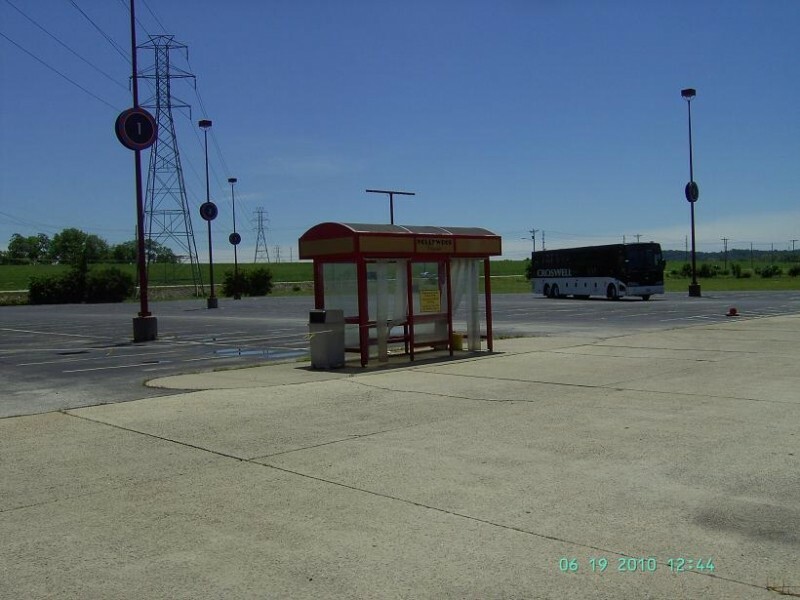 It isn't a huge lot but chances are you will see a few busses parked there to clue you in that you are in the right place. Couldn't get a decent drive-by photo to post. This lot is an easy walk to the casino. I only play at this casino a few times are year. On my recent visit, during the daytime, I noticed that the exterior of the buildings are looking a bit rundown. It also seems that the slots and video poker machines get tighter on every visit. I visited the Hollywood Casino on 6/18/10. 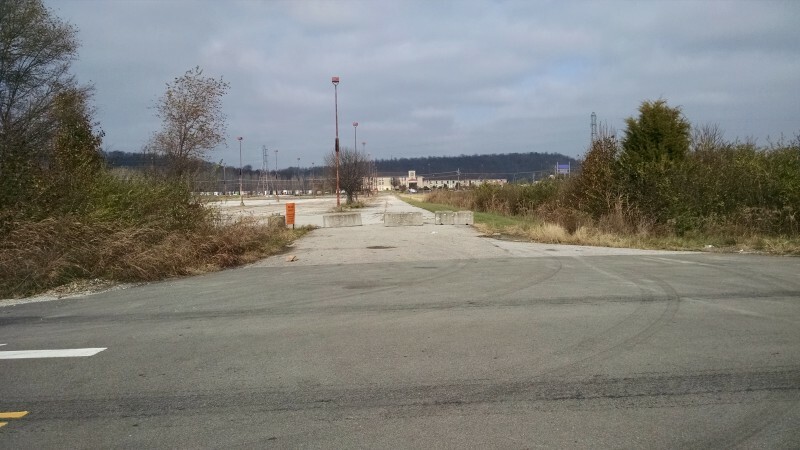 I drove past the oversized parking lot that is off property north of the casino. There were no signs on US-50 directing vehicles to the lot. The sign pictured is off US-50 and not visible from the road. 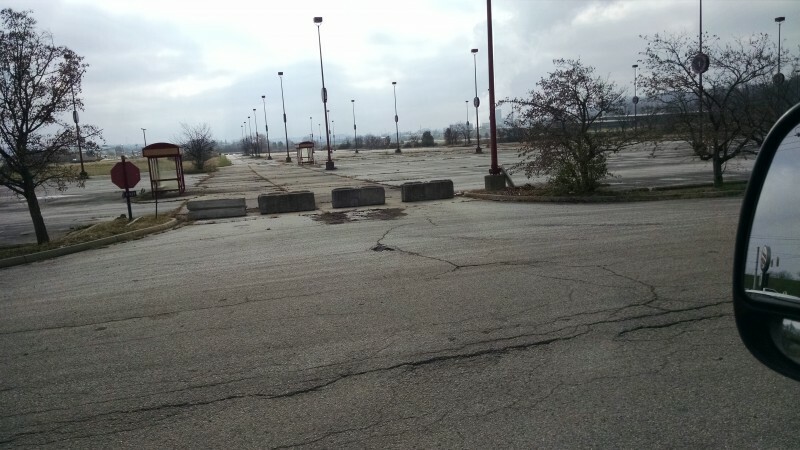 The lot is located between the McDonalds and Burger King. I agree with the other report that it does not FEEL like a safe place to spend the night. I parked in the overflow parking lot for the Skyway Garage. Spoke with security and was allowed to park in the overflow lot 3 nights. We called ahead of time and were told there was RV parking. We were disappointed when we arrived to find that the lot was not on the Casino grounds. The lot was deserted and we were not comfortable leaving the RV out there in the middle of nowhere. No security was around. This was on a Saturday night. We stayed an gambled for a few hours then left. IS PERMISSION REQUIRED? No. but talking to security is probably a good idea. RELEVANT SIGNAGE: There was no signage. We followed bus parking signs and ended up asking a valet parking attendant who directed us back out of the property and down the road about 1/4 mile. DRIVING DIRECTIONS: The lot is on the main drag on the right hand side before you get to the Main Casino entrance. 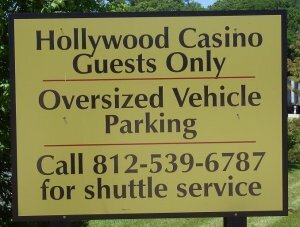 There is a small sign that says Hollywood parking. It is next to and slightly behind the McDonalds. 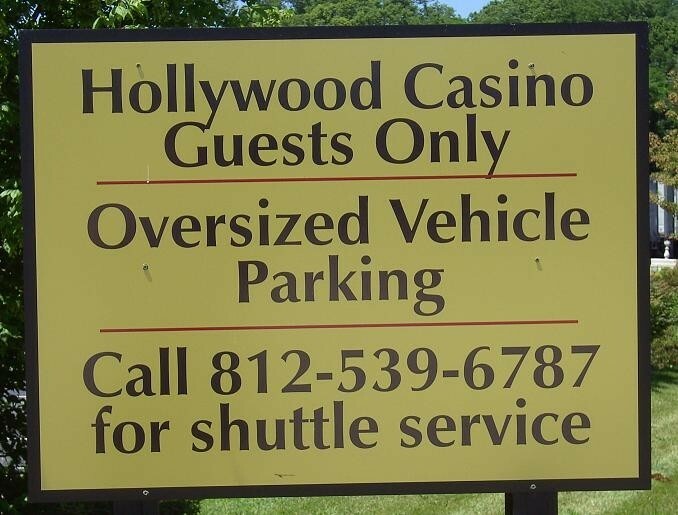 OTHER PERTINENT INFORMATION: You have to call security to get transport to and from the casino. CASINO The casino is now a Hollywood Casino. It has been updated inside and it much nicer than in the past. We were there the weekend of the grand opening and it was extremely busy. The restaurants are about the same and the buffet is good quality. The casino itself is nicer and there are some updated video games as well as more tables. Located on I-50 in Lawrenceburg, IN, accessed from I-275 exit #16. Argosy is definitely a locals casino as evidenced by how busy it is all the time. RV parking is located ~ 1/4 mile east of casino in the employee parking lot on I-50; you can then take the shuttle bus to casino.